3 Can You Steam Turnips? Turnips contain high amounts of vitamin K, dietary fiber and calcium. 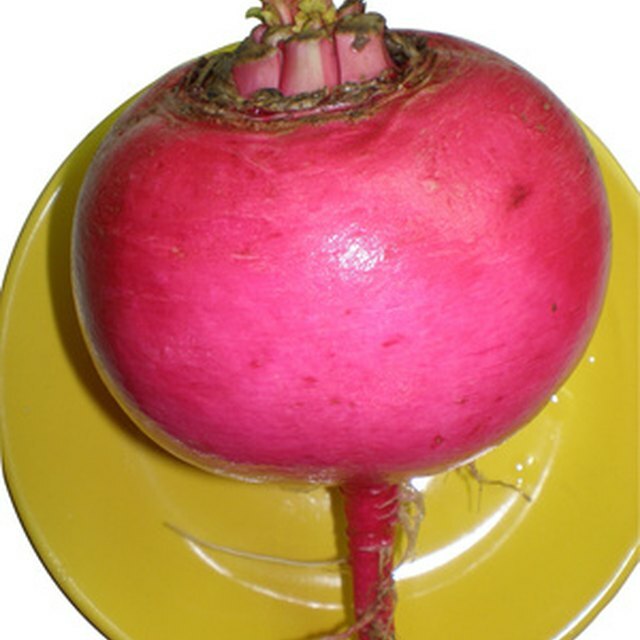 The flesh of a turnip has a relatively soft flavor that takes well to simple seasoning followed by grilling. Grilled turnips have a lightly charred exterior with a seasoning-infused starchy interior. Serve them as a side dish or dice them for a salad or soup. A cooking time of approximately 10 minutes is required to grill turnips. This recipe yields three to four large servings or six to eight small servings. Blend the cooking oil, ground, black pepper, minced garlic and lemon juice in a medium mixing bowl. Add the turnips and toss them with tongs to coat them in the seasonings. Preheat a grill to medium-high, or approximately 400 degrees Fahrenheit. Place the turnip slices onto the grill and cook them for 3 minutes per side, or until they are soft. Transfer the turnips to a platter in a single layer. Allow the turnips to cool for five minutes. Serve the turnips while hot. If you have preferred turnip seasoning, use 3 tablespoons of it in lieu of the one in this recipe. The seasoning should include cooking oil, as it is necessary to crisp the exterior of the turnips. Refrigerate leftover grilled turnips immediately and consume them within three days.